As a worship leader, it can be tough to keep up with new worship music. New and familiar artists are releasing albums almost every week. I am sure there are several different ways to do this, but in this post I’ll share my strategy for keeping up with new tunes and how to determine if they are a good fit for the congregation. Have you discovered Planning Center’s Top Songs tool? I used PCO for years with no idea that this tool existed. To access the list, go to the ‘Songs’ section in Planning Center and then click the yellow ‘Top Songs’ graphic on the left sidebar. Or, you can just click this link. I like to use this list for inspiration and to gain insight on what songs are working well for other churches. Songs are ranked based on how many churches scheduled it that specific week. The ‘Last Year’ number tells you how the songs ranked position compares to last years position. So, +2 means that it is ranked two spots higher than last year. “New” means that it did not rank at all last year. Songs in bold already exist in your PCO account. So, you want to look for songs that have the “New” tag or a large positive number (i.e. +20). Then, you want to make sure these songs also exist within other dates to rule out those that were a one-hit wonder. 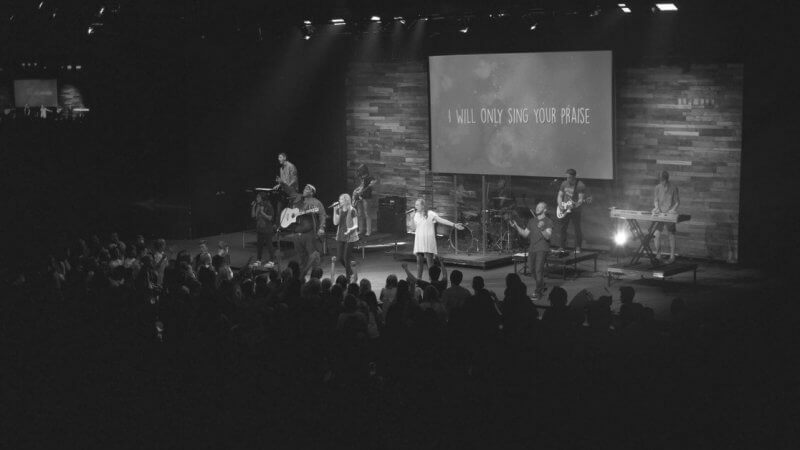 Now, you have a good idea of the new worship music that is working for other churches. Some of the most engaging worship songs at my church have been those discovered while listening to music throughout the day. About once per week, I will browse new worship albums on iTunes and listen to them all the way through, several times. To discover new music on iTunes, simply click Browse -> Genres -> Christian & Gospel. Then, scroll down to the ‘New Music’ section. Of course, some of these will not be worship albums, but it is not too hard to sort through. I imagine you can do the same thing with Amazon Music, Spotify, or Pandora. Discovering new worship music is great, but how do you sort through it all and pick the songs that will be a good fit for your congregation? I wish there was a formula I could give you, but it all comes down to how well you listen to the leading of the Holy Spirit. For me, the Holy Spirit will speak while I am listening to worship music throughout the week. One song will stick out above the rest and I have an inner knowing that it is the right song for my congregation. Don’t misunderstand, this isn’t a daily occurrence. Sometimes months go by before I get this leading. While waiting, I often make the mistake of introducing a song that I like. These songs sometimes do okay, but oftentimes fall flat and get retired early. Thanks for the tips, Celeste!